LOS ANGELES (AP) — A bright yellow, uniquely shaped guitar used by Prince to perform such tunes as “Cream” and “Gett Off” is going up for auction. Heritage Auctions is selling one of the late artist’s “yellow cloud” electric guitars beginning June 24 with an opening bid of $30,000. The guitar was one of several custom guitars Prince used in the 1980s and 1990s. 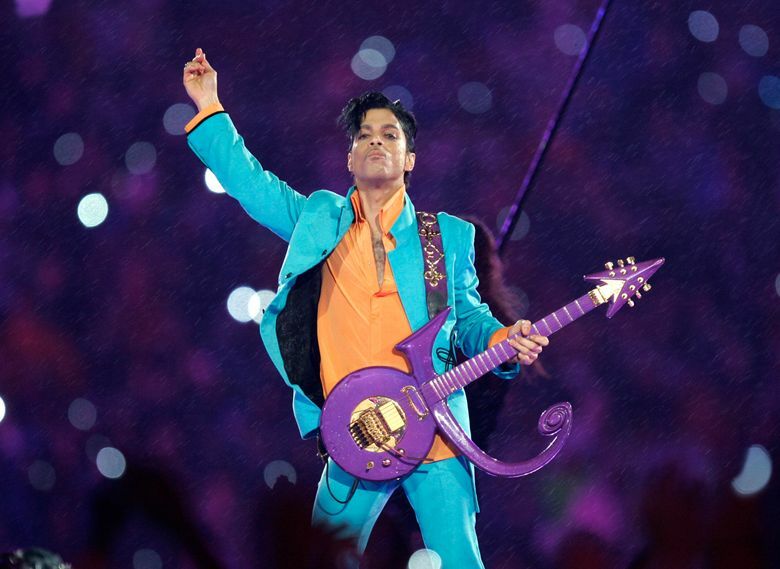 “I’ve been a Prince fan since I was a little kid, and that guitar always stuck out to me because it was super cool and stylish,” said current owner Richard Lecce, who bought it for about $30,000 over a year ago from Heritage Auctions. The instrument features a serial number and comes with a letter of authenticity from Prince guitar technician Zeke Clark, who noted that the guitar’s neck was broken in France in 1994 and later repaired. Lecce, who doesn’t play any musical instruments, said that other than posing for a few photos with the guitar when he first received it, he has kept it in pristine condition. Prince employed other similarly shaped guitars in various colors. The instrument’s flowing form went on to become part of the musician’s iconic symbol. Another “yellow cloud” guitar is currently on display at the National Museum of American History in Washington, D.C.